We’ve all heard the famous Maya Angelou quote, “I've learned that people will forget what you said, people will forget what you did, but people will never forget how you made them feel.” In fact, this sentiment is so popular that different versions of the quote have been attributed to a plethora of writers and speakers. Just like Maya and so many others, I believe in the power of experience to transform an event, or more importantly, a relationship—especially the one between an association and its members and customers. Get to know everything about your customers. This goes beyond brand attributes or personas; I’m talking about really learning what makes your customers tick. Why did they choose their profession? What are the biggest challenges they face? What does a day in their shoes feel like? What matters to them? Why do they come to your event or join your organization? Obvious benefits like education and discounts are great for one-time sales or registrations, but it’s the intangible stuff that drives a long-term, customer-intimate relationship. For NANN members and customers, the sense of community they feel with neonatal nurses from all over the world and the connection they share in caring for such a vulnerable patient population creates an instant bond. We added experiences that fostered that sense of community, such as opening our general session with preemie parents and their babies onsite to share their personal stories of gratitude under a single spotlight. 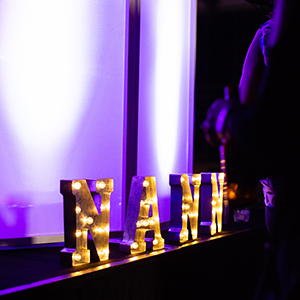 In an instant, nearly 1,000 attendees were enthralled, connected, and so glad to be at a NANN event together. Show them you know them, often. It’s easy to hit the mark on a few attendee experiences that leave attendees moved or having fun, but that’s not enough. In sometimes cavernous convention center spaces, it can be challenging for a fiscally minded marketer to brand every inch. But you should. As attendees move from room to room, find ways to remind them they belong. At NANN’s conference, we worked with a photographer who captured a series of adults and children holding framed photos of themselves as babies in the NICU. Thanks to the photographer’s generosity, we were able to print hundreds of poster-sized images and lined all main convention center hallways with them. Literally everywhere the attendees looked, they were reminded they belonged at NANN. Another fun way we shared our understanding of our attendees was through our conference giveaway. In the NICU, neonatal nurses wear scrubs. Their ability to show individuality and have a little fun with fashion is pretty limited. 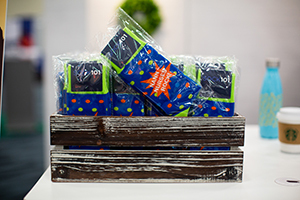 Through brightly-colored socks that announced, “NANN Nurses Rock!” we gave them a little bit of fun to take back to their units. Some attendees even wore them proudly at conference the next day! Yes, our attendees come for world-class education on trending clinical topics and we’re proud of that, but they also come for the comradery, relationships, and recharging that results from a week spent with likeminded folks focusing on what they love. For NANN attendees who work in stressful situations daily, the recharge component is key. With the help of AMC’s Meetings experts, we found ways to help attendees let their hair down a bit. 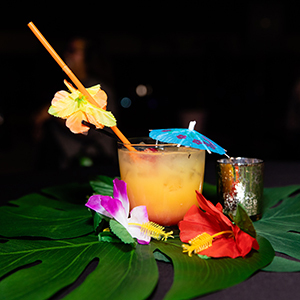 A luau-themed all-attendee party welcomed hundreds of attendees in Hawaiian skirts with umbrella-donned drinks. Many sessions, including the more formal NANN business meeting, ended in full-out dancing. Our relaxation room featured comfy furniture, healthy snacks, and a build-your-own-tea bar. And throughout the promotional period and while onsite, we shared information about local culture opportunities they could consider adding to their itinerary. We did everything we could to ensure a well-rounded, memorable week away. Honor them for who they are. Once you understand your attendees and what inspires their decision to attend, it’s all about making them feel special in ways that will resonate with them. Neonatal nursing is beautiful, rewarding, and also amazingly difficult. We look for ways to honor and surprise our attendees with special touches. We did this last year with Blooms in Your Room, gorgeous DIY bouquets in NANN-branded mason jars that attendees could use to add a bright spot to their hotel rooms. We offered pop-up surprises with conference-themed treats like palm tree–topped cupcakes, ice cream bars, and peach-shaped stress balls promoting our next conference in Savannah, GA. They were small, inexpensive touches, but they made a big impact on attendee experience. While an in-person event provides an ideal opportunity to share experiences and generate customer-intimate connections, the real trick is doing this all year long, from a national office to a NICU, from a conference room to a construction site, or from educational product to its application in the field. Look for future articles that focus on ways to inspire memorable, meaningful, and inspirational experiences throughout your member and customer journeys.